We are a long standing small caring, friendly, parent committee run charity Pre-school. Woodlands Pre-school is registered with Ofsted, able to take Children from ages 2 – 5 . We are a member of the Pre-school learning Alliance and have comprehensive insurance with them. 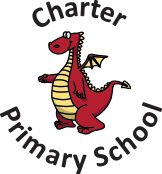 We moved to Charter Primary School in September 2008, with a new management highly dedicated to providing quality and affordable sessional day care for families in the local area. We provide a happy, secure enviornment where children can meet their full potential. Woodlands Pre-school is based in a self contained annexe of Charter Primary School, which has been renovated to very high standards. We have a secure enclosed playground with the opportunity to use the school playgrounds, fields and multi-purpose sports area, which we can for a variety of outdoor activities. Woodlands Pre-school is open Monday to Friday 9.00am to 3pm. We accept children aged 2 to 5. We accept Nursery Education Grant. As from September 2013, Woodlands Pre-School is able to accept funding avalible for 2 year olds. At Woodlands Pre-school we believe in providing happy, caring and safe surroundings where your child can progress and thrive in a friendly and constructive enviornment. We strive to give your child a flying start by encouraging individual development, hand in hand with helping every child to socialise and gain confidence ready for their future lives. The Manager at Woodlands Pre-School is qualified at a level 4 N.V.Q, and all other members of staff are qualified at N.V.Q Level 2 or higher. All staff are First Aid trained and CRB checked. We ensure all staff attend regular in service training with recognised bodies to extend knowledge and experience. Children with additonal needs are welcome at Woodlands Pre-school. The setting has a SENCO co-ordinator who is also qualified at Level 4 in this area. Please feel free to come and discuss your child’s individual needs. Please contact Sarah Ferris for more details on 01249 447578.